The RKE transmitter may work up to 60 m (195 ft) away from the vehicle. Press to lock all doors. The turn signal indicators may flash and/or the horn may sound to indicate locking. See “Remote Locking, Unlocking, Starting” under Vehicle Personalization. If the driver door is open when Q is pressed, all doors lock except the driver door, if Unlocked Door Anti Lock Out is enabled through the vehicle personalization. See “Unlocked Door Anti Lock Out” under Vehicle Personalization. If the passenger door is open when Q is pressed, all doors lock. Press to unlock the driver door or all doors. See “Remote Locking, Unlocking, Starting” under Vehicle Personalization. The turn signal indicators flash to indicate unlocking has occurred. 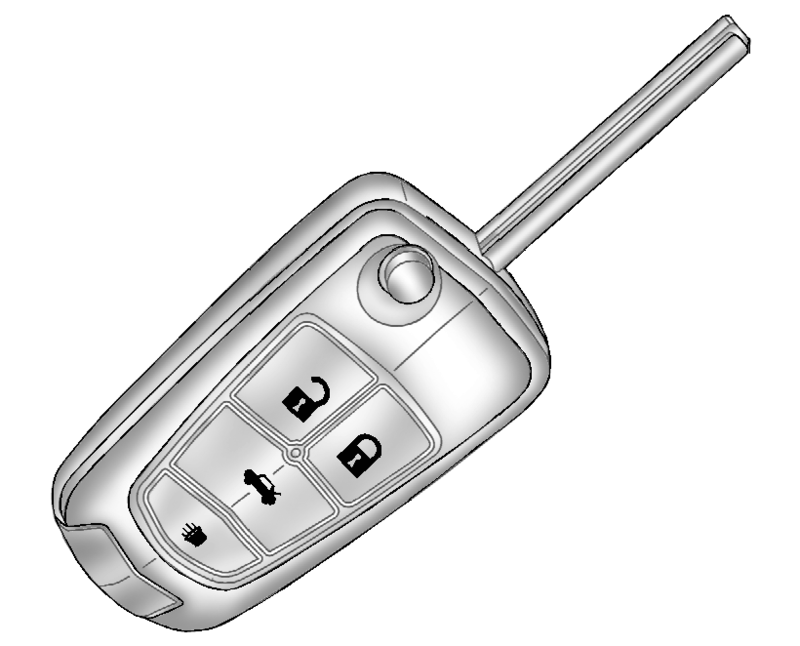 For more information see “Remote Unlock Feedback” under Vehicle Personalization.